Dean Butters is the Director of Real Estate Development for Hedrick Brothers Construction (www.hedrickbrothers.com) and the Vice President of Development for Hedrick Kirco Properties (www.hedrickkirco.com). Dean is passionate about enhancing companies and communities by improving real estate to its highest and best use. 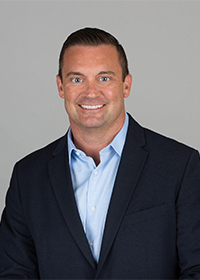 Previously, Dean was the Executive Director of Business Operations for a large not-for-profit organization in the Chicago area, acquiring, developing, and managing the organization's $150,000,000 property portfolio with over one million square feet of real estate. He holds a Bachelors' Degree in Real Estate and Urban Land Economics from the University of Wisconsin-Madison. Professional Affiliations include: Member, Urban Land Institute; Member, NAIOP; and University of Wisconsin Real Estate Alumni Association.